Motherhood is truly the greatest thing, as also the hardest thing, especially if you are all alone during your 1st pregnancy in a big city like Dubai. I remember how my pregnancy days were full of excitement, curiosity, doubts and anxieties, and I am sure it remains the same for quite a few expecting mothers even today. It is exactly in this phase that a woman needs an advisor in the form of a friend or a family. With the never ending list of Do’s and Don’ts, expecting mothers walk the tightrope of being happy and excited as also apprehensive and anxious…always looking for that friend, who will reassert their thoughts. It is exactly with the same idea that the Baby Shop has come up with a range of things, which can be your perfect guide and advisor, through your anxious days. I had the good fortune of introducing Sidra Surmed, who is seven months into her pregnancy, is glowing, is excited, is inquisitive, but also anxious, to these amazing things available at the Baby Shop. In fact, I was pleasantly surprised to see the kind of help available. Like the booklet called as Mom’s Little secret…this is a perfect checklist for all expecting mothers, right until your baby turns two years old. It is like your friend and advisor, month on month, day in and day out. And not just that, the Baby Shop has also started a service by the name of Shopper Assist. 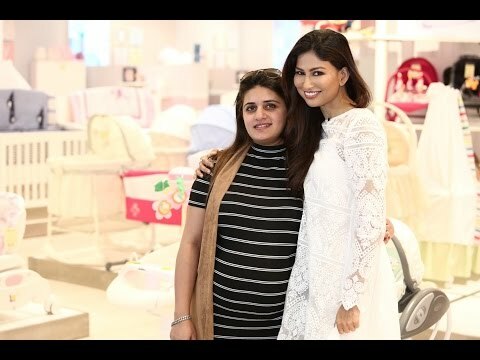 Moreover, true to its name, the Baby Shop helps you with your personalized shopping advisor, who advises you on preparing yourself with a range of things for the exciting months ahead. Right from prams to baby rockers and from a variety of milk bottles to toys for a growing baby; you think of it, and the Baby Shop’s Shopper Assist has a solution for all your problems. With so much help and assistance available, how comforting would it have been for me, had the Baby Shop services been available when I was expecting. Nevertheless, it is available now for all you beautiful women expecting to deliver an exciting life soon. Do share your thoughts, your excitement, and your apprehensions with me as I would love to be a part of your wonderful journey and joyous moments.